Visible light waves are seen by the human eye as different colors and they are characterized by their wavelength. The length of the wave determines the amount of energy it has; the shorter the wavelength, the higher the energy. 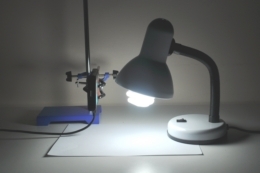 When visible light with an energy distribution similar to sunlight (light of all colors) completely reflects from an object, this light appears white to the human eye. When the object completely absorbs all the light, it is recognized as black. 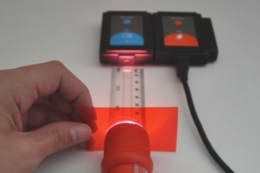 With this kit, students will learn about these and more light principles. A solar cell is a device that converts sunlight energy directly into electrical energy by the photovoltaic effect. 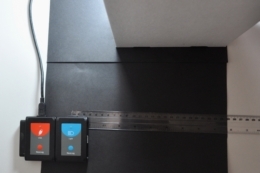 This kit, allows students to investigate the electricity generated from the irradiation of light. 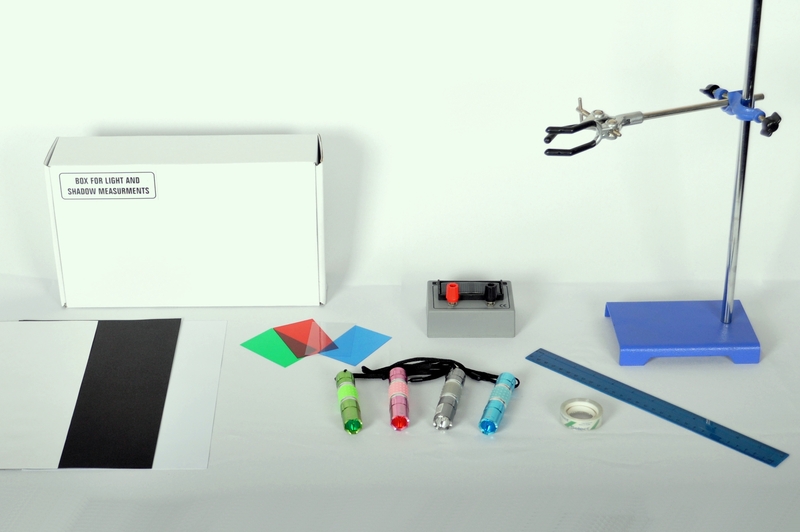 Photovoltaic cell, Two microscope slides, Utility stand, Right angle clamp, Extension clamp, Ruler, Sellotape, Four colored flashlights (Colorless, Blue, Green and Red) with batteries, Four colored filters (Colorless, Blue, Green and Red), White paper, Black paper, Grey paper, Thin box for shadow experiments.